1) Could you please tell us briefly about yourself? Answer : My name is Noam Copel. I’m a senior executive, strategist, and investor, with a strong expertise in blockchain, cryptocurrencies and encryption. In 2003 I created the world’s first smartphone encryption system distributed in over 50 countries. I’m also an aviation enthusiast and a multi engine rated pilot. 2) What is Decentralized Autonomous Vehicles (DAV) ? 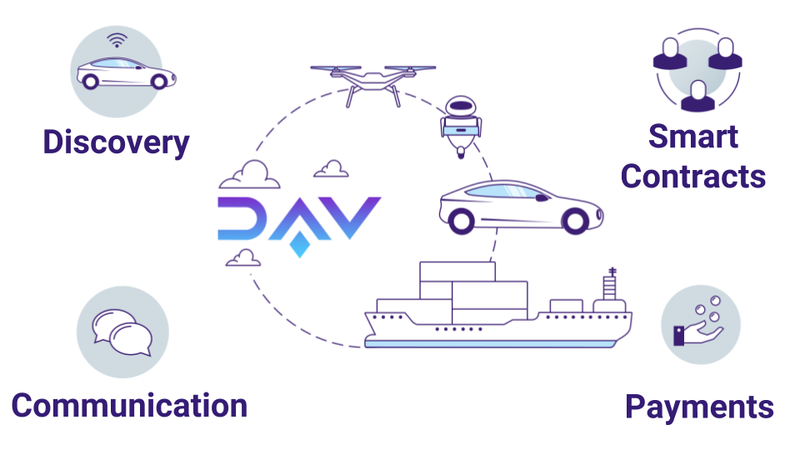 Answer : DAV is a software platform that allows anyone to buy or sell autonomous transportation services in a decentralized market. The platform integrates into any autonomous vehicles, enabling those vehicles to discover, communicate, and transact with one another using a digital currency called the DAV token. 3) What inspired you to launch a Blockchain and Cryptocurrency venture with DAV? Answer : I’m a technologist at heart and by trade, and I keep track of developments across multiple technical disciplines. It occurred to me one day that autonomous vehicles will one day replace current transportation and blockchain technology enables us for the first time to design that future transportation as an open and decentralized network,, and I realized what it could mean for the entire transportation vertical. DAV was born. 4) What makes DAV Network’s ICO different from the others? Answer : For starters DAV is structured as a non-profit Foundation. We believe this is the only way to create a truly decentralized ecosystem, in which we are neither competing with vehicle companies, nor motivated by commissions and fees that they would pay us. In addition, a sizable portion of our token allotment will be allocated as seed funding for autonomous vehicle startups. On top of that we’re practicing absolute transparency. Everyone can see what we’re doing, how we’re doing it, and why we’re doing it. Our TGE will form the basis of our Foundation’s R&D and operations funding for the foreseeable future. 5) How will Decentralized Autonomous Vehicles reshape the transportation landscape? Answer : Remember back when we didn’t have the World Wide Web? We had Compuserve, AOL and Prodigy. The Internet for most people was an experience curated entirely by whomever controlled those portals. They were effectively silos. Then the Web came along, and the silos were irrelevant almost overnight, and there was a virtual explosion of places to go on the Internet. From three silos to billions of websites in a very short period of time. Today, we have various autonomous vehicle companies with networks and services and they exist again as silos. DAV will do for the transportation landscape what the Web did for the Internet. We’re going to interconnect everything, to the benefit of almost everyone. 6) How much do you intend to raise in the DAV Token Sale and what are the steps for contributing? Answer : We will finalize the plan (financial and technical) for the public sale and publish it, a bit closer to the time it begins. In the meantime – we are offering our most supportive community members to participate in a pre-sale, by contacting us through our website. 7) Do you know which exchanges the DAV token will be traded on at this time? Answer : Not at this time, but the intent is to have the token traded as widely as possible. It’s a utility token that will have a value of course, but the DAV token is meant to be used and not just held for speculation. Answer : Rising above the noise. There are thousands of ICOs out there, and a lot of them are opaque, over-hyped, and less than honest. DAV isn’t just another coin designed to make a few people wealthy at the expense of others. DAV is here to effect positive change in transport, helping to design our future mobility and how its ecosystem operates, from scratch. 9) What’s going to happen to Decentralized Autonomous Vehicles after token sale concludes and what where do you see things in 5 years? Answer : After the TGE concludes the real work starts. We have a technical roadmap that goes out to Q4 2018 with four MVPs planned. We have the DAV Alliance to develop — a coalition of AV organizations that will help shape the AV landscape with DAV in a “supporting leadership” role. We have to reach out to governments and other stakeholders in the transportation vertical. We’ll be launching our DAV Seeds program to help fund, advise and bolster autonomous vehicle startups. And that’s just the beginning. It is our goal to continue expanding the DAV open source platform so that it is widely used, and to introduce to the world more and more capabilities that the DAV token picks up along the way, it will literally be the first cryptocurrency ever to enable physical movement of people and goods. I can say that we intend to remain agile so that if changes are needed we can adjust our sails according to the winds of technology and society. Our vision is a long-term one. I feel DAV will be around for a very long time. Answer : Our marketing strategy stems from two core elements – transparency and a very powerful value proposition. Transparency is very important because it enables our community to differentiate us from the plethora of other projects, and promotes trust. For commercial entities considering to join our network and support the DAV open protocol, our value proposition is a real “offer they can not refuse”, our platform is open source, we constantly expand on it to adapt it to their business needs, we don’t charge them anything, and we even plan to invest in helping them build critical mass in selected starter markets. Answer : We do our best to ensure compliance in a volatile and constantly shifting legal landscape, we are working with top legal firms in each relevant domicile. Regarding security, I have been a cyber security professional for over 15 years, and we are working in collaboration, and knowledge sharing with Bancor who executed an uncompromised token sale of over 150 million dollars. Answer : I’ve included a couple of videos that explains DAV thoroughly and simply. Also, our TGE begins March 14th, and if your readers are interested in participating in the token event , or the pre-sale, or the bounty program, they should connect with us on our Telegram channels. 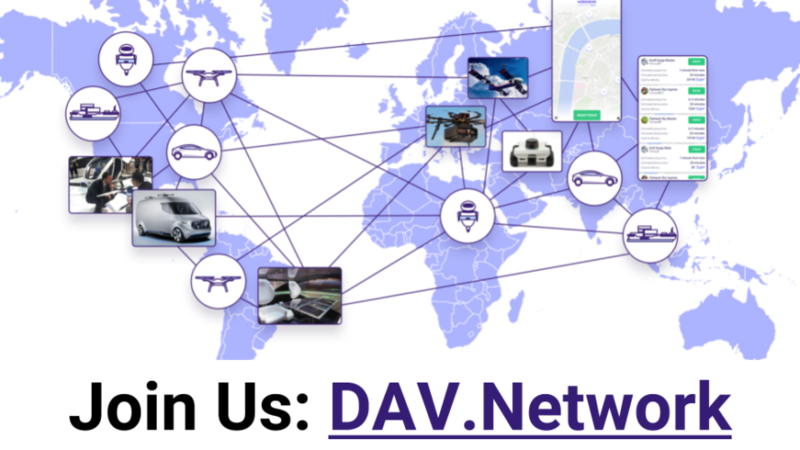 Our website at dav.network has all of the information. DAV is meant for everyone, so everyone is invited! Please visit https://dav.network/ for more information. Interview with CEO of Bloomzed on BZT Token Sale.